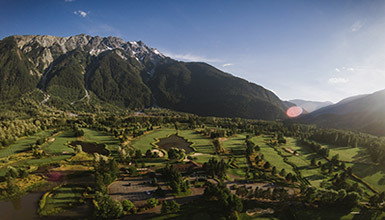 Whistler is Canadas premier golf destination offering four pristine golf courses that allow you to challenge yourself while enjoying the majestic mountain views. Choose from our multi-course stay and play golf getaways and enjoy an exceptional golf experience with outstanding value! This offer is valid for up to 12 players. 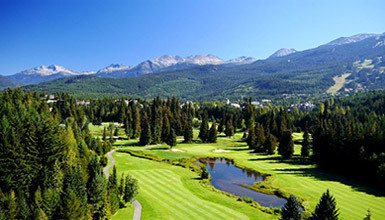 If you have a group of 12+ players, please call 1.844.955.3263 today to speak with a Whistler based Golf Specialist or email groups@whistler.com. 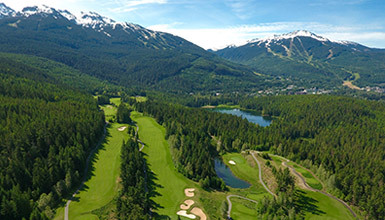 With a combination of challenge, excellent service and outstanding mountain views, Whistler has some of the best courses in British Columbia. 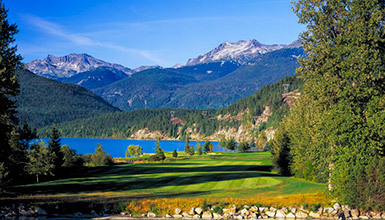 Discover Whistler’s golf courses below. *Early booking offer rates are available 7 days/week throughout 2019. Blackout dates apply on weekends between 8:00 AM - 12:00 PM. Package price based on 4 adults sharing a 2 bedroom unit/suite. Price is based on 18 hole morning/day tee sessions during midweek. US $ rates based on a $1.33 exchange rate. Rates may change with fluctuations in currency.